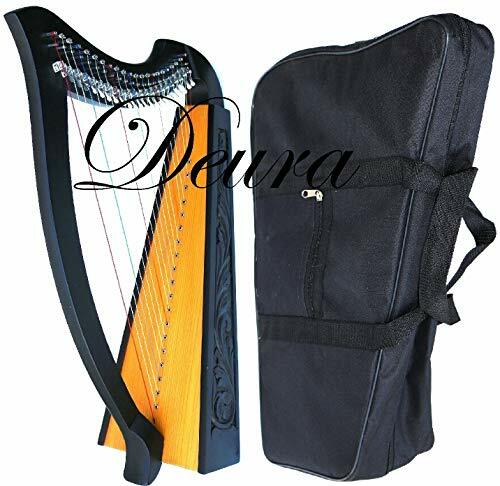 DEURA 22 STRINGS LEVERS BLACK HARP + BAG Irish Celtic Lap Folk MA-1030BK Approximately 33.5″ Diagonal high. Featuring 22 DuPont hard nylon strings, a range from F above Middle C to High C, sharpening levers and has an hand carved Irish knot work Rosewood frame. A Gig BAG tuning tool and an extra string set are included.